Sir Andrew Macphail (1864–1938) was a native of Orwell, Prince Edward Island. He was professor of the history of medicine at McGill University and a distinguished man-of-letters, who wrote this semi-autobiographical portrait of turn-of-the-century life in the rural community of Orwell, Prince Edward Island. 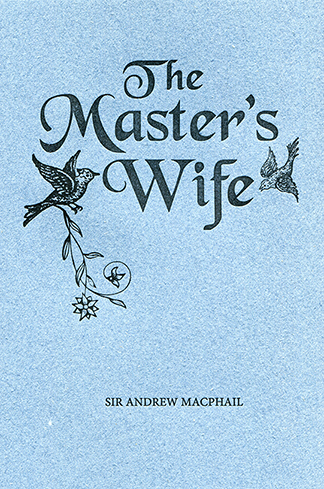 Originally published in 1939, The Master’s Wife is a facsimile of the original 1939 edition, with its handsome type and historic illustrations.